There is plenty of poetry in the shop windows at Christmas time, and indeed throughout the year, to make it a plausible theory that the English are a very poetical people. There are hundreds of prints and coloured illustrations purporting to convey, under different forms and through different symbols, how all hearts are bound together at Christmas, how lavish is the periodical hospitality, how sweet are the thoughts which the holly and mistletoe awaken. A month later, and the windows are full of Cupids, and hearts, and true-lovers’ knots, and a thousand poets use as many modes to assure true Valentines that they will love them “then as now." All this very properly excites the contempt of a cynical and philosophical observer. It is mere vulgar sentimentalism. The Christmas of the illustrated papers exists only in the fancy of the ingenious designers who know exactly how the Queen looks at a Highland shearing, and can depict, from personal experience, the effect of a ship sinking in the middle of the Atlantic with every soul on board, the artist included. In traditionary Christmas stories and poems there is always a crisp frost, and snow hanging from trees in picturesque wreaths. An ox is roasted whole, and a plum-pudding, the size of a high-priced globe, is brought in, radiant with the flames of a gallon of brandy. In real life, Christmas-day is, nine years out of ten, a moist, mild day, when everything looks particularly green, sodden, and sticky. People limit their beef by their reasonable appetites, and find that no illusion will persuade the digestion to work off more plum-pudding on Christmas-day than on other days. What, again, can be more foolish than Valentines? 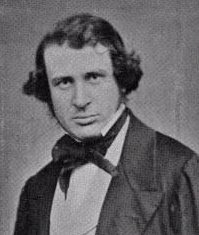 The feelings of the English in the nineteenth century of the Christian dispensation must be marvellously conventional if the sexes can find no better way to convey the notion of reciprocal affection than by exchanging representations of a fat little Pagan deity, discharging a gilt arrow from a blue bow into a bleeding heart. The whole thing is, cynically speaking, a mere sham, without poetry, or a grain of anything poetical belonging to it. But this vulgar sentimentalism may at least plead that, if it is vulgar in one sense, it is also vulgar in another. If it is despised and avoided by all persons of taste and education, it is welcomed and made abundant use of by some millions of people. To them it seems poetical. The illusion is almost as good as a reality. The actual Christmas dinner seems much more savoury, rich, and varied when it is flavoured with the thought that it is part of a great process by which Old Winter, with his icicles and snow-wreaths, is invited to take his place in the year, and, above all, that there is something peculiarly merry, jovial, and smacking of ancestral England in the affair. It is a great gain to a Cockney, who goes by a suburban pond on a Christmas afternoon, that he should have a confused idea that on a pond like that Mr. Pickwick is somewhere sliding, and Sam Weller urging him to “keep the pot biling." Nor is a stratum of real romance wanting in the Valentine designs and literature. The lover who sends a Cupid means to hint that love throws a little poetry over his life. He knows that a fat baby with wings is a symbol of the tender passion, as he knows, perhaps, that G. N. R. means the Great Northern Railway; and he directs his attachment in the accredited way, just as he would direct a parcel. He feels more excited, elevated, and open to soft emotions if he despatches the queer symbol, than if he went about the business in a manner precisely suited to his own absence of real poetical feeling, and merely let the lady know that “Barkis was willing!” For sentimentalism generally, it may be said that it is the genuine expression of feeling; only the feeling is shallow. But the feelings of most men are shallow, and the choice is not between sentimentalism and poetry, but between sentimentalism and the brutality of sheer prose. Christmas-day without sentimentalism would be, to the mass of people, a winter holiday broken by a meal. If lovers were to be debarred from talking of hearts, and roses, and bowers of bliss, they would either refrain from putting their thoughts on paper at all—which we believe the fairer part to the arrangement would generally regard as a great loss—or they would have to treat their love as a matter of business, to be discussed and chronicled in a businesslike way. Sentimentalism and its expressions are in social life what mediocre poetry is in literature. Those who have got the first fluttering of real feeling give in this way a consistency to their thoughts which is of considerable value to themselves, and of some value to others. Mediocre poetry is often a good training to the writer, and is a help to those who are not sufficiently trained or developed to go beyond it. This accounts for, and in a measure justifies, the large sale of books which a severe taste thinks a burthen to the earth. Sentimentalism of the most maudlin kind, for instance, is united to poetry most uniformly mediocre in the works of Mr. Tupper; and yet these works always seem to begin with the tenth thousand, and go straight on to the twentieth. Is this wide circulation simply deplorable? We do not think so. Mr. Tupper's works may be described as skim-milk for babes. The readers who purchase all these thousand copies are not fit for anything high, and it is something that they should get so far in the direction of healthy nourishment. Even skim-milk is more wholesome than solutions of adulterated gin. If we accept sentimentalism as the genuine expression of shallow feeling, we gain a means of estimating its value when it is exhibited in its highest as in its lowest forms. In the productions of modern authors, there is perhaps no better piece of sentimental writing than the description of the last days of little Paul, in Dombey and Son. We feel at once that it does not rise above sentimentalism—the feeling that runs through it is shallow. The comparison of any really poetical description at all parallel to it—as, for example, that of Mignon, in Wilhelm Meister—shows that we are kept throughout at a low level; and an examination of the passage in Mr. Dickens's work shows why we do not rise higher. Little Paul is represented as always haunted with the voices of the waves, and troubled by the presence of a flowing river which bears him on its current. These thoughts are, we believe, true to nature, and are such as would perplex the brain of an imaginative sickly child. They are, moreover, such as to afford available material to a real poet. But under Mr. Dickens's management they are brought completely within the range of sentimentalism, because they are repeated, dwelt on, and turned in every way, until we get the notion of a trick or cunning device in their being thus prominently worked, as we imagine, for producing an emotion of protracted pity. This harping on one or two thoughts, so as to awaken the attention to the trick by which it is done, belongs essentially to a sentimentalist. The feeling which is so explicit and so lengthy is sure to be shallow ; but still it is feeling. The death of little Dombey has in it something really touching, and even poetical. The effect produced by the record of the fading away of the gentle child is one that leaves an impression on the memory. The passage might draw tears from eyes that are not accustomed to cry for nothing. It is sentimental, but its sentimentalism is of a decidedly high character. So, too, in the greatest of all sentimental books, Sterne's Sentimental Journey, there is genuine feeling; and this feeling displays itself most unmistakeably in parts of the story where the bad side of sentimentalism is also brought out on a scale which has given the work so indifferent a reputation. The peculiarity of Sterne’s book is that it exhibits a constant hovering on the edge of vice without actually approaching it, while this proximity to vice is always attained from the side of virtue. The Sentimental Traveller is the most gentle, benevolent, sweet-tempered of creatures. His affability and comprehensive charity lead him to take an interest in every one he meets, and he manages, as sentimentalists often do, to meet only those to whom he has an affinity—beggars, and old soldiers, and pretty women. For the latter class he has an endless courtesy, a patronising coquetry, and the fraction of a heart. The feeling that is so ready and so divided may well be called shallow; but there is a genuineness in it, and it is based on a perception of what is poetical and right, that distinguishes it on the whole from what it so often and so closely resembles—the prurience that seeks to heighten excitement by prolonging the preliminaries. Those who know the book will remember the scene where the fille de chambre visits the traveller in his hotel, and where, after some hesitation, described in Sterne’s most piquant and objectionable manner, the traveller sends her away and locks the door. This scene is enough to convince any one who reflects on it that Sterne had sounded the depths of sentimentalism. The feeling of the sentimentalist was shallow enough to lead him into the affair, but it was generous enough to get him out of it. He did not, like a man of high principle and deep feeling, abstain from expending sentiment on such an intimacy, nor, like a man of the world, did he proceed in a spirit of consistent prose. He did what both these classes of men would be apt to pronounce impossible—he stopped half-way. If we are required to point the moral of sentimentalism, and, on Christmas-day, to rise or fall into a sermon, it is not difficult to do so. The evil of sentimentalism, more especially of sentimentalism in the higher walks of literature, is that it tempts readers to go further than the sentimentalist, and to take advantage of the shallowness of his feeling without being influenced by its genuineness. France used, not long ago, to send us shoals of sentimental novels calculated to produce this effect. Now, French romances are sunk far below sentimentalism; but the novels published a few years since by the more poetical romance writers had this great drawback—that on their shallow and prurient side they were easily appreciable, but their better side was too peculiar to the writer, or to some set of persons, to be intelligible to English readers. And of course, taken at its best, sentimentalism is a very imperfect thing. It is good that men should have shallow feelings rather than none; but shallow feelings are very dangerous guides, as Sterne has abundantly shown. No man who is sentimental, and who knows that he is sentimental, ought to rest satisfied. But to pass from sentimentalism to high feeling is a very difficult thing, and requires a serious effort, sure to be marked by numerous failure; for it is a prominent tendency of sentimentalism to think things right, but not to think things wrong. The man of shallow feeling loves what is good, but he will not keep aloof from what is bad. The hatred of wrong is the great sign and triumph of deep feeling. How is this hatred to be excited and fostered in a breast that is a stranger to it? Perhaps it never can be brought beyond a certain point of growth, for the characters to which the hatred of wrong is natural will always be superior to those in which it is acquired. But the first great step towards the acquisition— the first stage of transition from sentimentalism to high feeling —is the conviction that bad things are bad. How that conviction is to be made permanent, strong, and fruitful, it must be left to every one to answer for himself; and Christmas-day is not, perhaps, a bad day for meditating on the subject. Saturday Review, December 25, 1858.